Westport, CT -- The Connecticut Press Club and the Fairfield County Writers’ Studio are joining forces with a Quinnipiac University professor to present a one-day workshop on how to create a podcast. Podcasting 101 will be held from 9:30 a.m. to noon on Saturday, March 18, at the Fairfield County Writers’ Studio in Westport, Conn. The workshop is open to the public. Ben Bogardus, an award-winning news producer and assistant professor at Quinnipiac University, will provide instruction. 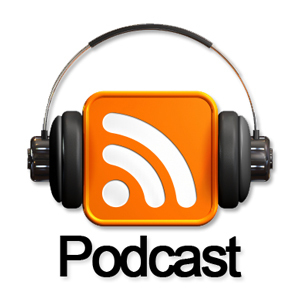 Listeners are flocking to podcasts, recent research indicates. One person in five has listened to a podcast in the past month, according to Edison Research. The medium attracts people on their commute, working out, or while working from home. Michele Turk, a journalist who is president of the Connecticut Press Club, said that learning to create a podcast can be particularly important for writers. “If you are a writer or in some other type of communications field, podcasting is a tool that can help grow your readership, email list and influence,” Turk said, adding that the workshop can be the perfect opportunity for communicators to reach a new audience. Carol Dannhauser, co-founder of the Fairfield County Writers’ Studio, said that podcasts offer a new and interesting way for writers and other creative people to bring their stories to life off of the page. Participants are encouraged to bring a laptop and cell phone to the workshop, and to download the free editing software “Audacity” to their computer before the class. After learning the techniques of podcasting, participants will get the chance to apply them by creating their own podcast in class.